The location was in Bethesda Maryland about a block from my house. The "Take It!" came from my doing some eyes cast down walking in my neighborhood. 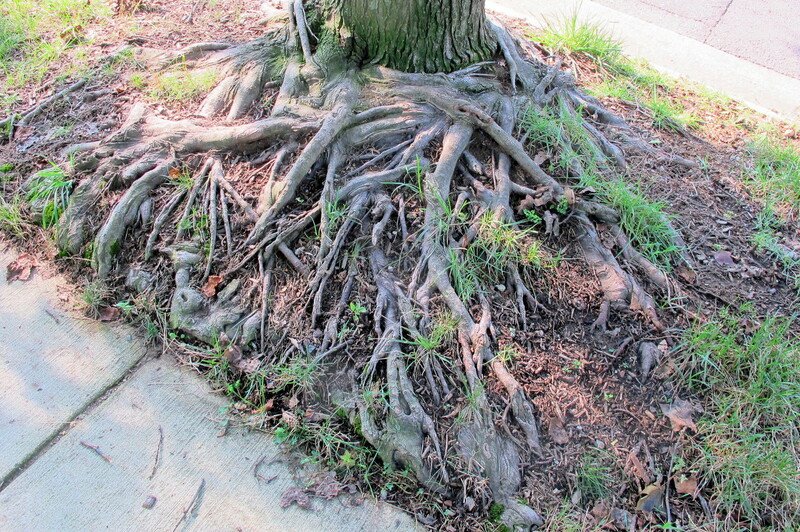 This root mass caught my attention as it was the only tree on the block that was set up this way. Just one of those "Good grief" moments. The After Take: One often is presented in some mysteries attached to nature. 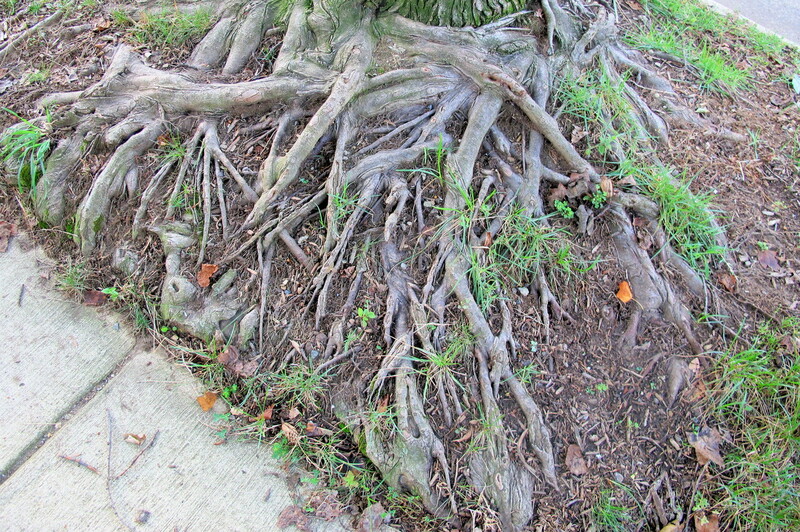 I could not help but wonder if this tangle surfaced as it had no where else to go and finally found a way to go deep to support what is now a sizeable tree of about the same size as the others on the block. Even in the confusion of this there is some beauty to be found. Thanks for joining us for the current photo presentation. You are cordially invited to return Tuesday, September 18th for a new picture that we hope you will enjoy. WOW!!!! How does that even happen? Mowing over that would be a nightmare. What a mess. 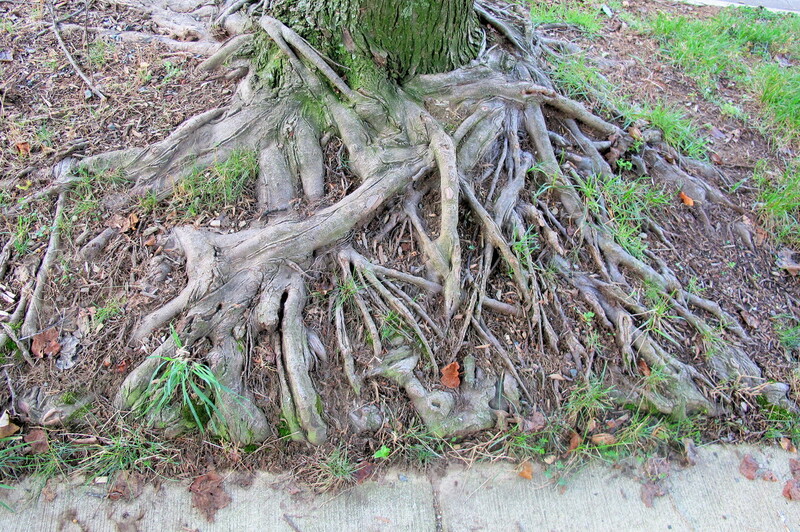 These roots remind me of that picture posted a couple months ago of the really weird looking magnolia tree. I'm kind of curious after Jeffs comment how they go about keeping the area clean and trimmed.